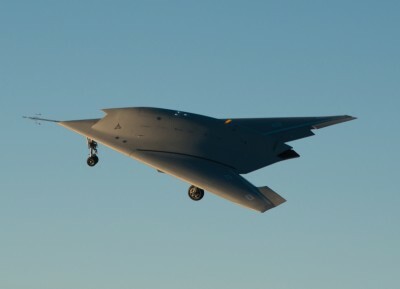 The Neuron stealth UCAV demonstrator successfully made its first flight today. The demonstrator, the size of a fighter aircraft, took off from Istres, in southern France. It was operated by a team from Dassault Aviation. Technical experts from the DGA had previously taken control of the airspace where Neuron was due to fly, so as to ensure that test flights are conducted safely vis-à-vis other aircraft in the area as well ensuring full compliance with air traffic regulations. This first flight is a major milestone in this ambitious project, and paves the way for flight test campaigns that the aircraft will carry out in Italy, Sweden and France. These tests are intended to demonstrate the flying qualities of the platform, but also to assess its stealth and combat capabilities. DGA provides overall project management of the project since its launch in 2006. It is the result of European cooperation led by France, with Dassault Aviation as prime contractor, and five partner countries and their industrial partners: Italy (Alenia Aermacchi), Sweden (Saab), Spain (EADS-Casa), Greece (HAI) and Switzerland (Ruag). ISTRES, France --- Today, the Neuron, Europe’s unmanned combat air vehicle (UCAV) stealth technology demonstrator, successfully completed its maiden flight from the Dassault Aviation company’s flight test base in Istres, in collaboration with the flight test personnel of the French defense procurement agency (DGA). The Neuron programme was launched in 2005 by the customer, DGA, and involves France, Italy, Sweden, Spain, Greece and Switzerland. It defines a future for the aeronautic excellence of Europe. With a length of 10 meters, a wingspan of 12.5 meters and an empty weight of 5 metric tonnes, the aircraft is powered by a Rolls-Royce Turbomeca Adour engine.